My team and I provide results driven online marketing services. Our approach is holistic, developing dynamic sources of traffic, and sustainable systems to keep your leads funnel full. We provide lead generation through a variety of digital channels and mediums specific to your customer. We specialize in pay per lead, local SEO for San Luis Obispo and California, Facebook Ads, Google Adwords, professional video production, web design, and email marketing. All of these strategies are built with the goal of generating qualified leads into new clientele. TeleSelect Partners can provide your business with the big picture ! 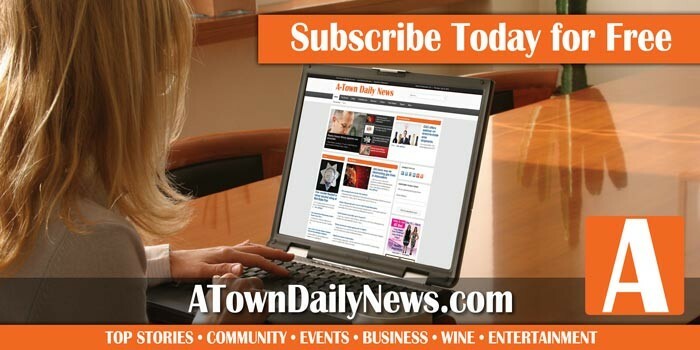 – Who are the best telecom and internet providers in your area? – Which carriers can respond quickly and professionally to customer service issues? – Which carriers offer special pricing and promotions and which ones are truly special – We represent over forty major carriers that offer every service available in the telecom industry. We work for YOU, not the carriers and we can answer these important questions. Let us save you time and survey the whole market without you spending hours talking to multiple carrier salespeople. We will continue to look for the best options for you after you are a customer. We will insure that you are always getting the best pricing and technology available in the market. TeleSelect Partners will strive to be your touch stone by finding you the carriers practicing the highest standards of customer service We will always be checking and judging the carriers guarantees and promises to find out which are genuine.Open in new window Carrier Partners Charter Business and TelePacific l/r with Managing Partner Todd McKiernan San Luis Show 2010 TeleSelect Partners LLC is a private consultancy based in Central California specializing in telecom service. Our mission is to connect our clients to the highest quality communications service providers for voice and data, while securing the lowest possible rate structure. Our consultation services include reviews of invoices and contracts, rate negotiations, and vendor selection. We serve as a resource to companies seeking an informed vendor audit and vendor selection process. Consultation We meet with you and perform a comprehensive analysis of identified service bills (Local, Long-Distance, Data, Internet, and Wireless). – Eliminate unnecessary services and charges. – Search for alternative carrier solutions. – Integrated voice and data for maximum speed and performance. – MPLS IP network for secure private business communications. – VPN – DIA Direct Internet access over T1,DS3 and gigabyte bandwidth over Ethernet. – Conference calling for work groups. – Managed Security Content and Spam filtering with activity detail reports and protection ratings. – Disaster Recovery secure data backup and recovery services. – Colocation install your equipment in a centralized carrier grade facility and get redundancy and high speed access and hosting. Find out if we can get you results like these – Salinas grower Reduced telecom and internet expenses by 39% saving them $24,000 the first year. Santa Maria manufacturer Upgraded phone technology and reduced spending by 31%. Santa Cruz non-profit Moved up to T-1 quality from DSL services while cutting costs 19%. Watsonville packaging firm Reduced costs 24% while upgrading to new PRI and T-1 services. Fresno ambulance service 45% savings or $62,000 over a three year agreement! Madera hospital 36% savings along with improved voice and data services. We are interested in partnering with like minded IT professionals and phone system dealers who put the client’s interests first when doing business. Working with us allows you to recommend an unbiased resource for your clients. There is no conflict of interest and we can save you time by having a single agent partner for telecom referrals. We compensate partners for sold referrals with spiffs and/or residual commissions. In today’s ocean of telecom choices it helps to have the right partners on your crew. 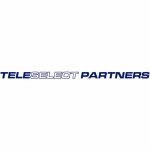 Teleselect Partners knows that deciding on the right partners for your business can be a daunting task. Put your mind at ease and let us use our years of experience and knowledge of the telecom industry to assemble your winning crew. Owner Bio: I have worked in sales for the past 25 years as a sales rep, product specialist, and senior sales executive selling various types of technology including telecommunications for the past 11 years. Services: Telecom, internet access, agent telephone services, cable, satellite, fiber and Ethernet, Voice, data, hosting VOIP, cable, wireless, satellite and co-location.